Table 16.1. Stoichiometric balances for amino acid degradation8. aTrp was neglected because amounts are small and degradation is usually incomplete. bGlc, glucose; CoA, coenzyme A; 02UP, oxygen uptake; ATAD, total ATP use in animal. cNH4+and NH3 considered identical. dMethyl acceptor neglected. eSerine inputto path is considered, in program, as in average amino acid. fPT, Phe and Tyr (50:50, wt/wt). 9SAA, sulphur amino acids. 1974). Thus, measurement of the specific radioactivity of an amino acid in this pool is both technically difficult and time consuming. The vast majority of published rates of protein synthesis are based on the assumption that specific radioactivities (SRA) of amino acids in the aminoacyl-tRNA (SA,), the EC (SAe) and the IC (SA;) pools are similar. Only rarely have investigators measured SAt, or attempted to quantitate the specific radioactivity differences between amino acid pools used for calculation of protein synthetic rates. However, when such measurements have been made, inconsistent results have been obtained. In some in vitro studies, SAt has been shown to be intermediate to SA and SAe, (Airhart et al., 1974, 1981; McKee et al., 1978; Hammer and Rannels, 1981), whereas in others SA, was lower than SAj and SAe (Airhart et al., 1981; Hildebran et al., 1981; Hall and Yee, 1989; Opsahl and Ehrhart, 1987; Schneible and Young, 1984). The interpretation of such data is difficult. Some data support the view that tRNAs are charged by intracellular (IC) amino acids, some that extracellular (EC) amino acids charge tRNAs, and other data that tRNA is acylated by amino acids from protein degrada tion which do not mix with the IC pool. Hod and Hershko (1976) used the time course of label incorporation into protein to describe a model where the precursor of protein synthesis, aminoacyl-tRNA, is charged from both the IC and EC pools of amino acid. Similar models have been proposed by Khairallah and Mortimore (1976) and Khairallah et al. (1977). However, there has been no attempt to quantitatively evaluate these models and theories. Additionally, these models do not account for observations when SA,, is less than either SA; or SAe. Measurements of protein synthetic rates in vivo are complicated by the fact that specific radioactivities of radiolabelled amino acids generally change during the course of experiments. In the pulse dose method, a tracer dose of radiolabelled amino acid injected intravenously causes a rapid rise in SAe and SA; to a peak followed by a convex decay with time whereas protein specific radioactivity is a function of the kinetics associated with the change in radiolabel of the amino acid in the precursor pool, the number of proteins in the pool, and the rate of turnover of each of those individual proteins in the total pool of protein. This method has numerous disadvantages, which include the large number of time points and animals required to derive the complex and rapidly changing curves and the complexity of the analytical models needed to interpret the data (Haider and Tarver, 1969; Garlick, 1980). To reduce the complexity of mathematical models necessary to calculate protein synthesis, techniques were developed which simplified specific radioactivity curves. One such method was the constant infusion of radiolabelled amino acid, as developed by Stephen and Waterlow (1965; Waterlow and Stephen, 1966), wherein the infusion of a tracer amino acid causes the amino acid specific radioactivity in plasma and tissues to reach a plateau. However, the plateau reached in tissues is lower than that in plasma due to the intracellular contribution of amino acids from protein degradation. The use of the constant infusion method requires several assumptions including: (i) that either SAe or SA; is quantitatively equal to SAp and (ii) that there is no recycling of the labelled amino acid from the protein pool back to the precursor pool. This method also suffers from the disadvantage that many measurements are required to accurately define the shape of the curve during the rise to plateau. 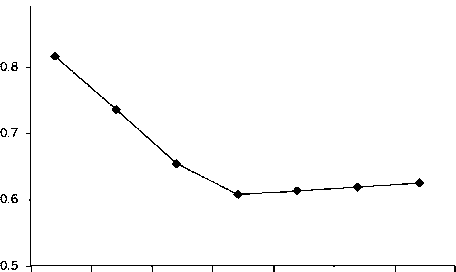 However, if the infusion is long enough, the rise to plateau can be estimated by a single exponential (Garlick, 1978). This method addresses the problem of reutilization by assuming that, at plateau, a steady state exists and SA; represents the contribution of proteolysis and extracellular amino acids. where SB is the SRA of the protein-bound amino acid, Sf is the SRA of the free amino acid pool in the tissue, ks is the FSR per day, t is the period of infusion (days) and Xf is the rate constant describing the rise to plateau of the SRA of free amino acid in the tissue. where Spmax is the plasma amino acid plateau specific radioactivity and t is the period of infusion (d). 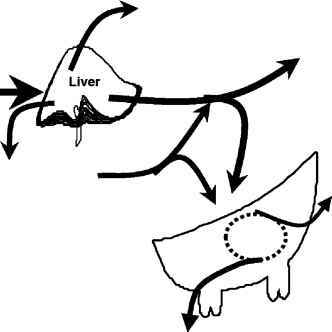 Although this is the case in perfused liver and lung (Khairallah and Mortimore, 1976; Watkins and Rannels, 1980; Kelley et al., 1984), the relationship between SAe, SA; and SA: in vivo have not been reported. The flooding or loading dose method seeks to circumvent the need to measure aminoacyl-tRNA by decreasing the differences in specific radioactivities among amino acid pools. First used by Henshaw et al. (1971), this method combines a large dose of labelled and unlabelled amino acid (McNurlan et al., 1979; Garlick, 1980). The flooding dose is used to expand the intracellular pool of tracer amino acid such that SA becomes equivalent to SAe (Garlick et al., 1980), supposedly forcing SAt to be equivalent to SAe and SA;. where SB is the specific radioactivity of the amino acid in protein, Sf is the specific radioactivity of the amino acid in the precursor of amino acids used for protein synthesis, and t is expressed as days (McNurlan et al., 1979). This assumes Sf does not change over time. If, however, Sf changes over time fcs is calculated using Sf which represents the average Sf over time during which incorporation occurred (Bernier and Calvert, 1987). However , SA, is not necessarily similar to SAe or SA; even when a flooding dose is given. Airhart et al. (1981) examined the effect of extracellular amino acid concentration on SA and SA, in chick skeletal muscle cells in vitro. They found that a flooding concentration (5.0 mm) of radiolabelled leucine forced SAe and SA; to equality, while cells in a physiologically normal extracellular concentration (0.2 mm) of leucine had a SA that was 41.4% of SAe. SA, was less than half SAe at both 0.2 and 5.0 mm extracellular leucine. They concluded that expansion of cellular amino acid pools was not successful in flooding the aminoa-cyl-tRNA pool with radioactive amino acid, and proposed that this failure was due to direct charging of tRNA with amino acids arising from protein degradation without mixing with a common intracellular pool. Similarly, Schneible and Young (1984) found that they could not force leucyl-tRNA specific radioactivities to a level equal to either SAe or SA; in cultured chick muscle cells. They concurred with Airhart et al. (1981) that accurate quantitation of protein synthesis required measurement of SA,. Barnes (1990) reached the same conclusion using the flooding dose method with growing chicks. He reported that failure to consider SA, resulted in underestimation of FSR by 3.9-, 1.7-, 1.3- and 2.25-fold in the gastrointestinal tract, liver, pec-toralis muscle and thigh muscle, respectively. To examine the possibility that tRNA is directly charged by amino acids resulting from protein degradation prior to the mixing of these amino acids with the general IC pool, Barnes et al. (1992) prelabelled chicken HD11 macrophage proteins with [3H]leucine. After removal of [3H]leucine, the cells were washed and incubated in media with either 0.23 mm or 2.3 mm cold leucine. SAe was constant for the first 30 min and increased 58% and 32% for the 0.23 mm and 2.3 mm levels of leucine, respectively, during the second 30 min. SAj did not change with time for the tracer level of leucine; however, for the flooding dose, SA; decreased 40% during the course of the experiment. SA, was not affected by increasing extracellular leucine concentration and remained well above SA; or SAe. However, when HD11 cells which had not been prelabelled were incubated with either a tracer or flooding dose of [3H]leucine, SAe and SAj were higher compared to SA,. These data strongly implicate tRNA charging with amino acids released from protein degradation. In light of the previous discussion, the limitations of protein synthesis measurements obtained from SAe or SA; must be resolved if truly quantitative rates of protein synthesis are to be obtained. It is documented from direct measurements that tracer amino acid specific radioactivities in extracellular, intracellular and tRNA pools can be very dissimilar. Previously discussed data strongly suggest that neither the IC nor EC pools are the sole source of amino acids used to charge the tRNA pool. Thus, protein synthesis rates calculated from either SAe or SA; will not provide an accurate estimate of synthesis rate.